The no-phone policy, candles and in-class crying all make sense now. By Adjua Fisher·	 4/17/2017, 2:27 p.m. I thought to myself, What IS this? Hamilton? But I handed my phone over anyway, because I’m not a total monster. 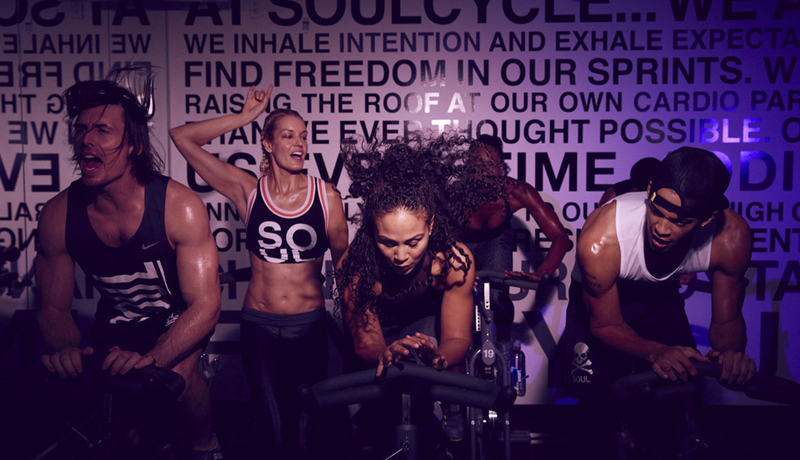 This no-phones-allowed policy is one of the many seemingly over-the-top customs you’ll find in SoulCycle class, along with impromptu towel-swinging by riders and yells of “YESSSSS! Yesssss, yesssssss!” after a hard and steep climb comes to an end. And I’m not going to lie: Until recently, I didn’t really get the purpose of all the theatrics involved in a class. And trust me, the theatrics abound; instructors lead the class on a raised stage surrounded by candles, for one. 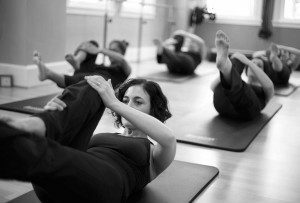 It’s all so … dramatic for what is, at its core, a fitness class … right? Yes, yes it is. But, now, I get the drama. Last week, I was invited to a Q&A with Melanie Whelan, the CEO of SoulCycle, led by Kristin Detterline of Philadelphia Style. Whelan dropped lots of interesting tidbits during the hour or so of talking — like the fact that the company gets over 5,000 (!!) emails a year asking for them to set up shop in people’s cities and towns, and that she prefers the descriptor tribe over cult — but the most interesting tidbit she dropped, in my opinion, was that the company thinks of every class like a live production. Suddenly, all the drama made sense. The minute she said the word production, I thought back to the class I’d taken earlier that afternoon. I’d been ushered to my bike by a friendly red flashlight-wielding human — like I would be were I to see Hamilton, I assume — and after a few minutes of twiddling my thumbs, waiting for the show to start, the instructor Alexis Rose (I don’t know if that’s a stage name, but it kind of sounds like one, which fits) took her place on the flame-lit stage and began her performance. The music — a playlist curated by her — was on point; when she could sense the audience (er, riders) faltering, she re-engaged us by belting out words of encouragement like, “You are LEGEND;” and she punctuated most of her sentences with a performative “yeauhhh?” (I was never quite sure if it was a question or a statement.) When my legs were screaming for me to stop, one labored lift of my head to see her pedaling and push-upping with joy, on-beat hair-flipping — and sometimes singing (how?) — included, kept my feet in motion. At the end of class, she took the candles from the stage and offered them up to riders in the front row to blow out, darkening the room. After class, everyone clapped. That, my friends, is a performance. So now, I get it. And I will never question why I need to keep my phone in my locker again.